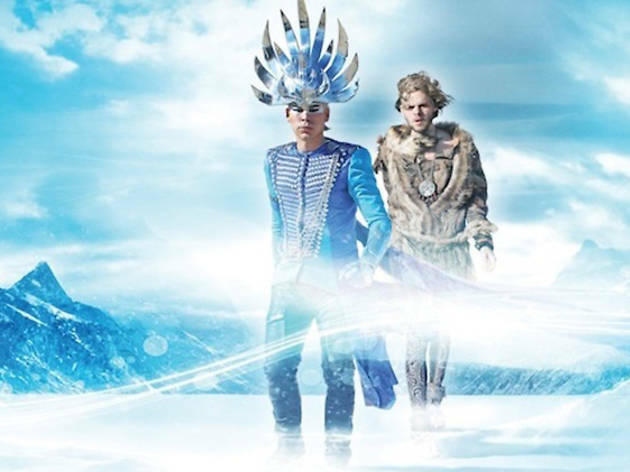 Sydney electro-pop pair Empire of the Sun is known for their highly visual, flamboyant approach (makeup, costumes, you name it) and their 2008 debut LP, Walking on a Dream, proved to be a runaway success. Their World Empire tour descends on San Francisco this week, with supporting acts St. Lucia and Holy Ghost, who specialize in electro-pop both euphoric and beep-boopy. This affair calls for your most elaborate headdress, so plan accordingly.